Yesterday I attended a tasting of Kumeu River wines organised by Northeast Wines & Spirits and presented by Michael Brajikovich, the winemaker at this family owned winery. Well known for their excellent Chardonnay I did not know Kumeu River also produced a Pinot Gris and a Pinot Noir. Both wines showed characteristics that would challenge the misconception that Kumeu, being north of Auckland in New Zealand, is a warm region. Flanked on either side by the Pacific and Tasman oceans not more than 30 kms away, Kumeu’s climate is cooled sufficiently by these sea breezes to produce wines with striking mineral notes and notable acidity providing an elegant structure around which to frame flavours of fruit and spice. The Pinot Gris was a delightful wine, fresh and light bodied on the palate with stone fruit and citrus flavours followed through with a hint of Manuka honey on the finish. Having eaten many a slice of Vogel’s bread with Manuka honey spread liberally across it I particularly enjoy the heady flavour of this honey. Underneath these luscious flavours is that acidity I referred to earlier, mineral flavours and a linear structure to the wine, which nicely balanced the 8.5g/L of residual sugar. The Pinot Noir (2007) showed some age with the orange tones in the rim of the wine against the ruby hues of the body. Complex and pleasing aromas of red fruits, spice and forest floor were followed through on the palate ending with a medium plus finish of cherries and a hint of red fruit pastilles. A light body and mouthfeel, alongside finely grained tannins and a medium plus acidity provided elegance and finesse. It was a real treat to taste the full range of Chardonnays against one another. The Kumeu River Village 2009 is a steal for the price point. Aromas of fresh citrus and stone fruit continued on the palate with a medium plus acidity providing the perfect structure around which these flavours were framed. The Kumeu River Estate 2010 showed a nose of citrus and subtle notes of butter and toffee – that richness continued with a hint of lemon curd on the palate. Next up were the three single site Chardonnays, each with a distinctive style and unique offering – from the burnt butter and smoky notes of the Coddington to the clean lines and mineral flavours of the Hunting Hill and on to the complexity of the Mate’s Vineyard. An excellent map showing each of the vineyard sites can be found on the Kumeu River website here and all the wines can be found in Hong Kong at wine’n’things. For a list of international distributors click here – I would encourage you to undertake your own comparison! With Pinot Noir and Chardonnay being grown at Kumeu River the inevitable question is whether or not a sparkling wine would ever be made. The traditional trinity for Champagne is Pinot Noir, Pinot Muenier and Chardonnay but there are many versions made from any one or a combination of these grapes. Michael confirmed that, like many winemakers, there are a few side projects on the go and producing a sparkling wine is one of them. A portion of grapes from the current vintage has been set aside for a sparkling wine (60% Pinot Noir and 40% Chardonnay) and the next vintage will also have a portion set aside as will the next vintage and so on. In time a library of wines will have been created from different vintages and when the time is right, a portion of these wines will be blended together to create a single base wine. That base wine will then undergo a secondary fermentation which is required in order to produce a sparkling wine using the traditional method of Champagne. 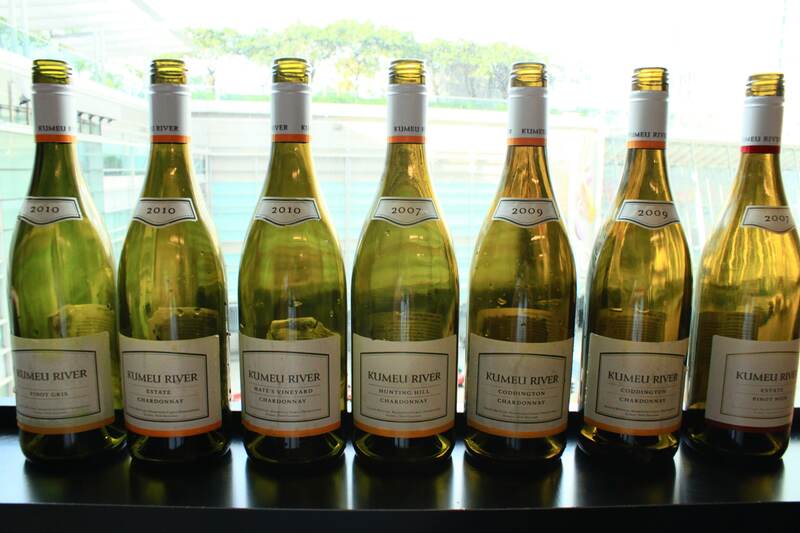 Given 2013 is being hailed as an extraordinary vintage for Kumeu River I would say we are off to a great start in terms of the quality of wines that will eventually be blended for a Kumeu River Sparkling – however, we will have to be patient while the library of reserve wines is being established. In all I am not surprised at the breadth of quality on display from Kumeu River yesterday given I was already a fan of the Mate’s Vineyard Chardonnay. What I particularly enjoyed was being able to compare the different expressions of the same grape and the way the winemaker has been able develop those individual characteristics. I also enjoyed discovering there are additional wines on the Kumeu River portfolio and both the Pinot Gris and Pinot Noir are worth seeking out. 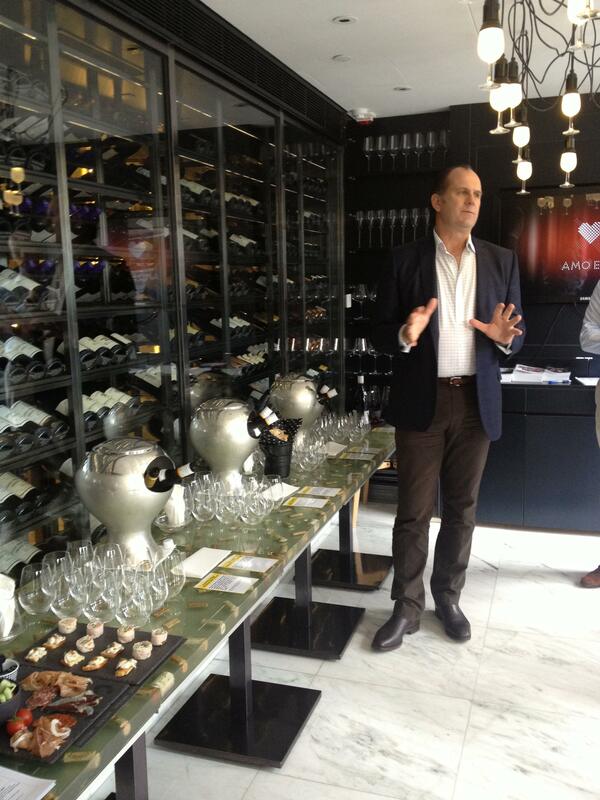 And, of course, I am just a wee bit excited to hear talk of a sparkling wine – I can’t wait to see what the future brings! Fresh fruit aromas of citrus and stone fruit. On the palate flavours of grapefruit, lemon and white peach framed around chalky mineral notes and medium plus acidity. Notes of burnt butter, a hint of toffee and vanilla alongside aromas of fresh citrus. On the palate flavours of fresh lemon, ruby grapefruit, fresh white peach, wet stones followed by a medium finish with a hint of lemon curd. Aromas of citrus, white flowers, a hint of burnt butter and smoky vanilla. Medium body with flavours of lemon, grapefruit and notes of fresh asparagus. Aromas of citrus fruits and fresh white flowers. On the palate flavours of lemon, lime and pencil shavings. Medium plus finish with a lovely touch of sweet lemon curd. Aromas of citrus, white flowers and stone fruit. On the palate very linear notes of slate, lime, lemon, white grapefruit and white peach. High acidity with a medium plus finish. Aromas of stone fruit and citrus. On the palate medium plus acidity and flavours of peach, pear and lime with Manuka honey on the medium plus finish. Medium ruby colour with orange rim. Aromas of smoky black pepper, red plums and cherries. On the palate medium plus acidity, medium minus body, medium fine grained tannins with flavours of black pepper, plums, cherries, pencil shavings, forest floor, mushrooms and wet leaves. Medium plus finish of red cherries with a hint of red fruit pastilles. Love these wines. We had the 09 Hunting Hill a couple of weekends back and it was great, it was not shamed by a stunning 04 Olivier Leflaive Corton-Charlemagne right before it. However I still have no ability to properly pronounce Mate’s, despite my NZ friend and his best efforts to explain it. That was his explanation too, I’ve been pronouncing it incorrectly for so long that it’s hard to naturally say it (especially after a couple of flights of wine) but I’ll get there eventually. Me too – I am now determined (somewhat) to pronounce it correctly!